The National, Jerry Dias spoke in depth about Bell and the current bargaining units underway. Many Bell Clerical unit members spoke on several issues within their bargain units as well, It’s Time. As Member at Large for the Telecommunications Industry Council, Lee spoke of the many concerns and topics we have as members, just to name a few, the longevity of the current contract of 9 years, Work Life Balance which is very important to our members and their families and not just at BTS but all the Bell units as well. Of late, Unifor has resolved several Grievances. In addition an Overtime Averaging Agreement for our members that is STRICTLY VOLUNTARY – A GOOD WIN FOR US ALL! and a great step forward to achieving work life balance. 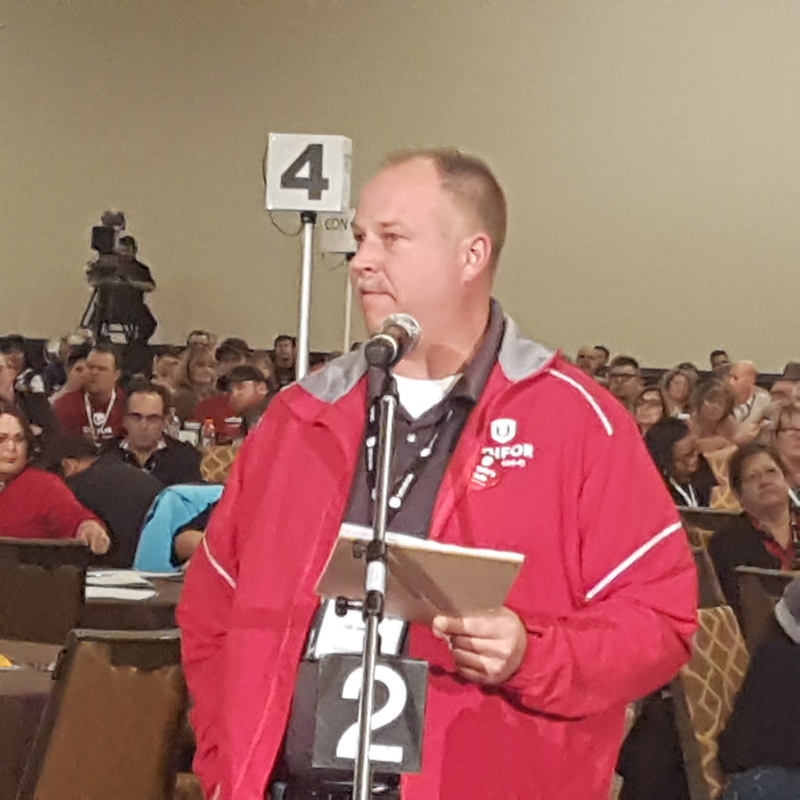 Unifor is vesting huge efforts to ensure negotiations will remain in good faith with our employer. We will stand strong together as Ontario and Quebec will be at a common table for bargaining. It is time our members are heard!